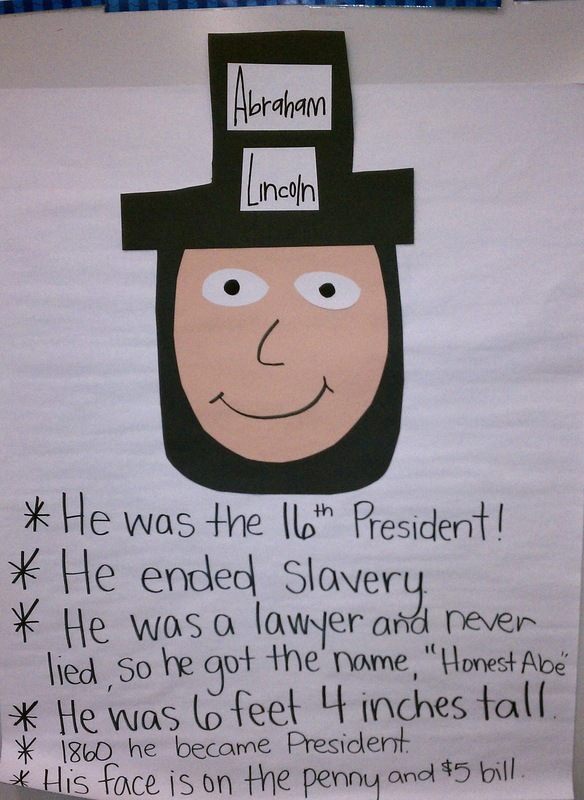 On Friday I read a few books to my students about George Washington and Abraham Lincoln. 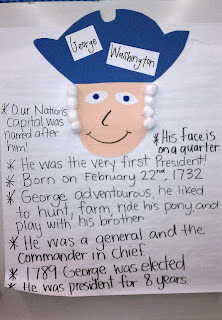 I created two posters with their pictures on it so we could write down facts about them as they listened to the stories. 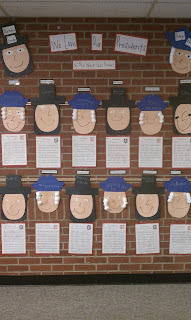 I got the idea for these art pictures from The First Grade Sweet Life. She also has an awesome syllable presidents day sort that my students loved. 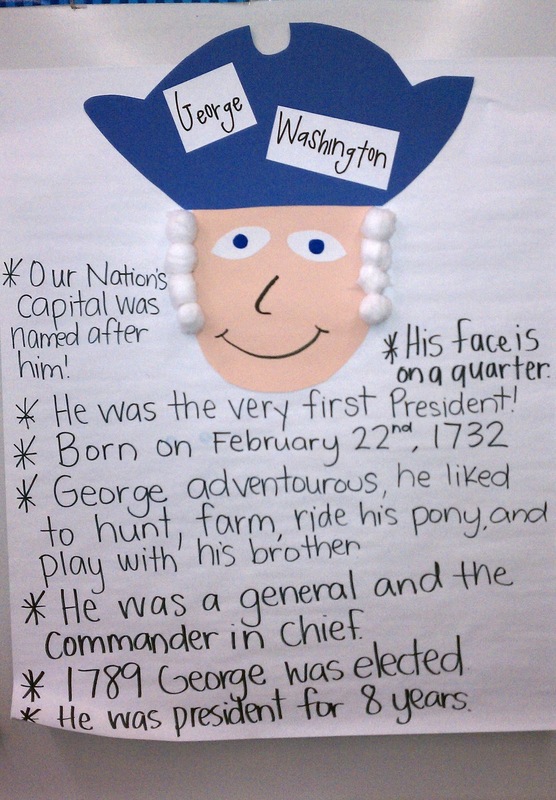 Also Mrs. Walksy created a cute picture presidents day book that my class enjoyed. 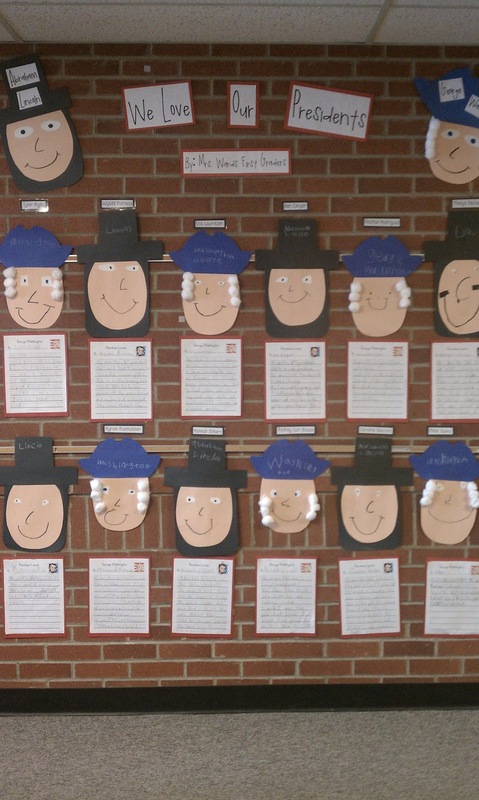 My students went crazy over these faces they liked them so much they were begging to get to make their own. :) So I decided to let them create one and also do a writing project with it. Since we aren't lucky enough to have the ENTIRE week off like some of you lucky teachers we will start this writing project on Tuesday. If you would like your own copy of the ws I have created click HERE. 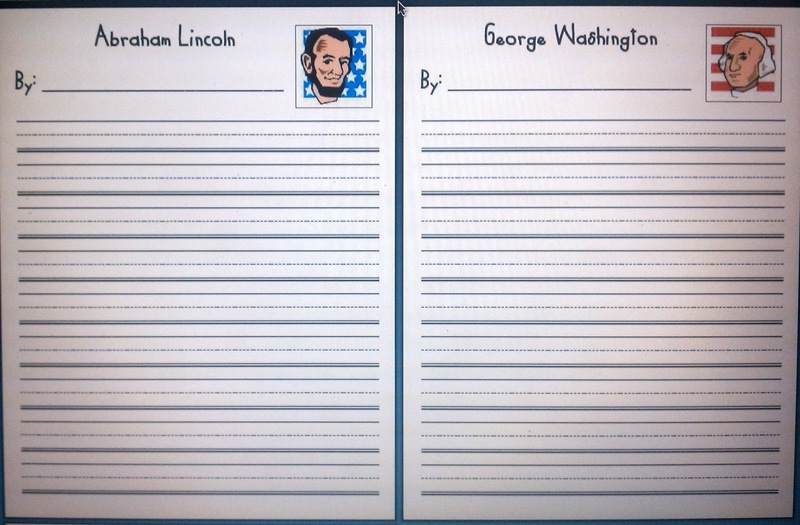 Below is a preview of the template they will use to write on. ENJOY your President's Day off! i love the printables! i will be using them next week! Thank you for sharing!!! I will use it this week. Thank goodness you have posted this !!! I'm a home school teacher always looking for creative ideas to use to keep my daughter engaged or focus on what ever subject .... and that's of course make learning fun.